Cold and Flu season is upon us and I am sure you can all relate to the yucky feelings that come along with these illnesses - the sore throat, congestion and sore/raw nose as a result of using tissue often. I have just recently been introduced to Boogie Wipes. Boogie Wipes are saline moistened wipes; instead of using your regular tissue brand for wiping/blowing your nose you would use boogie wipes (geared for kids, but anyone can use them). The saline helps to keep your nose from becoming raw and sore. 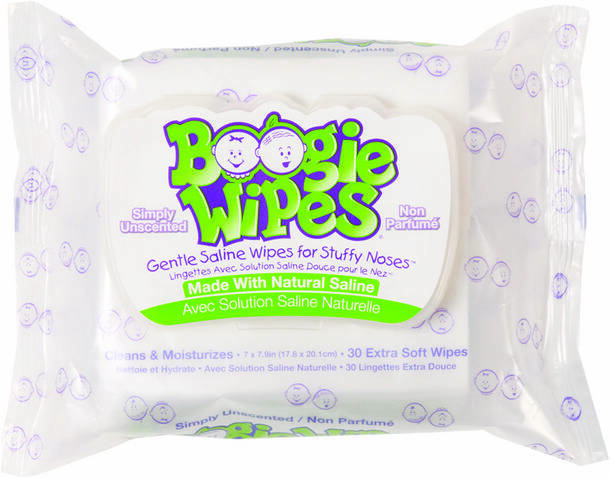 Boogie Wipes are available Unscented, Menthol, Grape and Fresh scent; you can purchase online or from a retailer near you (Toys R Us and Walmart are two of the many retailers). I was thrilled to try these out with my boys - much gentler on their sensitive little noses and really easy to use. I have even used them on myself because I, as I write this, am dealing with a head cold. I normally use: Scotties Supreme (3 ply). 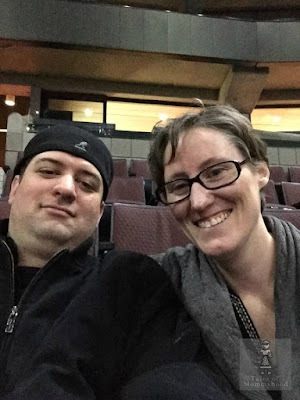 We normally buy Scotties, partially because they support Canadian curling! Scotties or Kleenex whatever is cheaper for the 3ply ones at the time. We use whatever is one sale, generally puffs though! I use whatever is on sale for us and DS gets the Boogie Wipes! I usually use Majesta...but have tried Boogie Wipes when little man has been sick...he loves the Grape Scent! We use Puffs Plus usually but I always have Boogie wipes in the diaper bag just in case! usually what's on sale of top brands like puffs, kleenex or scotts. Whatever is handy. Usually papertowels! Normally I use Kleenex brand tissue. Royale is the usual brand. We use toiletpaper - we're very cheap. Either Kleenex or CVS brand, whichever is on sale!